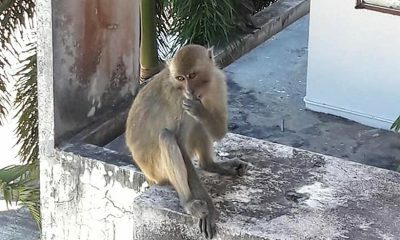 A student at a school in Kanchanaburi, western Thailand, has uploaded a video to social media sparking a meltdown on Thai social media. 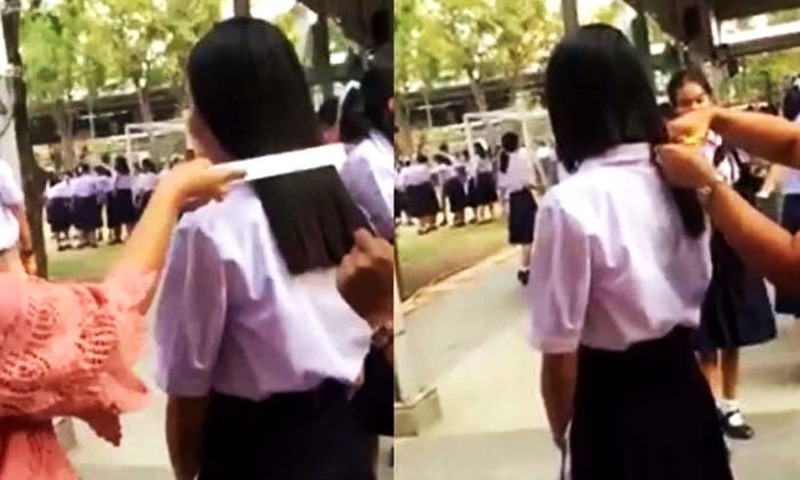 In the video, the student films a school teacher measuring her friend’s hair, while another teacher cuts it to follow the rules which state students cannot grown hair more than 9 inches from the top of the ears. Regardless of the anger voiced by the online community, in the video below we can see that no one else seems disturbed by the hair cut, which could mean they expect to follow the rules. As the internet was busy slamming the actions of the teachers, news surfaced that the girl filming has had her grades adjusted following her posting the video. The school representatives told media that they were shocked at how the situation had been blown out of proportion. They issued the girl filming the incident a punishment due to the trouble she has caused by using social media to bring disrepute to her school. The school has been very transparent with the issue, showing records kept of the incident on January 10. The rules are clearly stipulated and all students in the school are aware of the length limits. 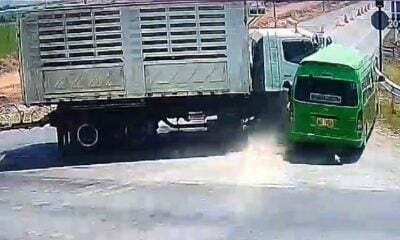 The girl involved in the incident had been warned several times but had refused to comply with the rules. The two students will not face expulsion but rather, loose grade points. 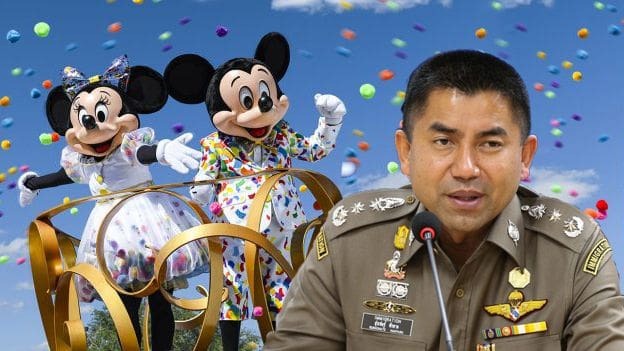 Former Immigration Chief and high-profile crime-buster, Lt Gen Surachate Hakparn, has been laying low since being dramatically sidelined two weeks ago, being demoted to ‘office duties’ at the Police HQ in Bangkok. Now he’s on holiday in America. 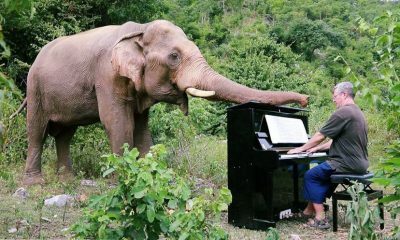 He had put in a request for a holiday in the US and is expected to be back at the end of this month. He will have to report himself back at the PM’s office when he returns. We hope the immigration queues aren’t too long when he returns. Her Majesty Queen Sirikit has been admitted to Chulalongkorn Hospital in Bangkok suffering cystitis, which is an inflammation of the bladder, according to the Bureau of the Royal Household today. 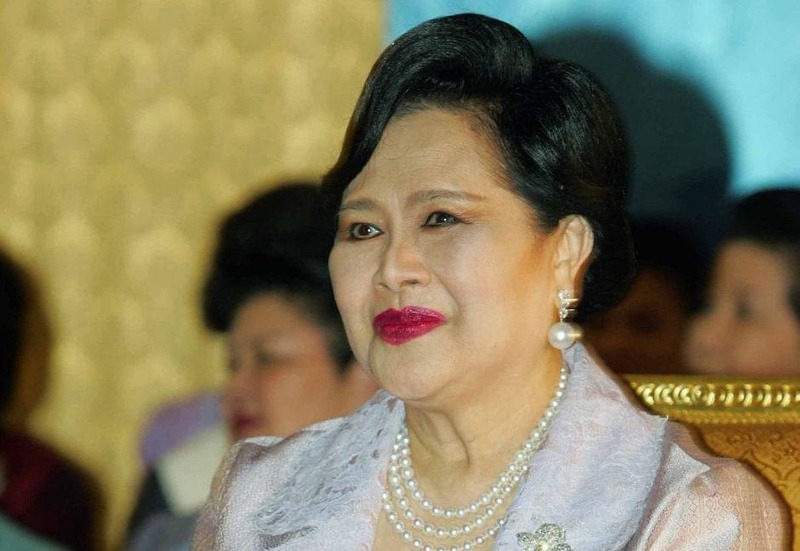 Queen Sirikit is the ‘Queen Mother’ of Thailand, the mother of the current King Maha Vajiralongkorn and was married to King Bhumibol Adulyadej. 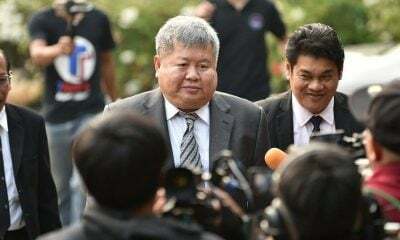 The Queen’s doctors examined her at 6pm on Tuesday and found she had a fever caused by the infection and advised that Her Majesty be admitted to Chulalongkorn hospital for closer examination and medical treatment, said the announcement. 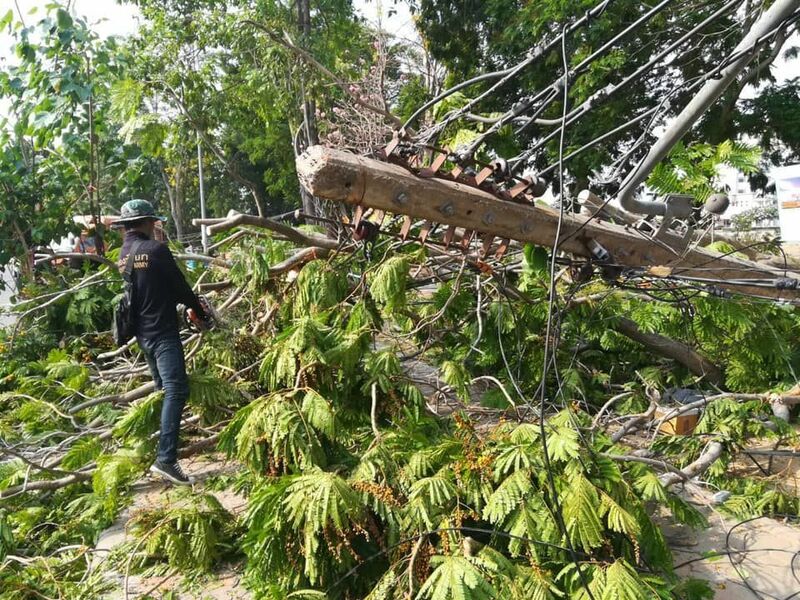 Over 300 houses have been damaged after thunderstorms lashed seven districts of Kamphaeng Phet province, in central west Thailand, at about 8pm last night. Officials have visited the districts this morning and found 25 damaged houses in six tambon of Muang district. The storms also damaged 162 houses in seven tambon of Phran Kratai district and 92 more damaged in Sai Ngam district. 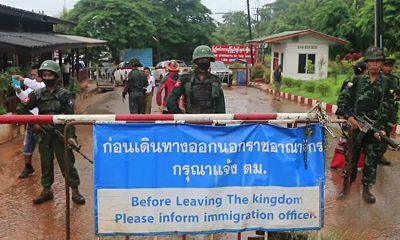 Officials said 17 houses were damaged in Khlong Lan district and 11 in Lan Krabue district, while 10 houses were affected in Pang Sila Thong and Khanu Woralaksaburi districts. 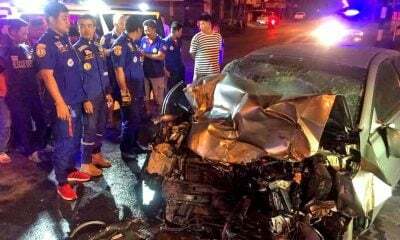 Meanwhile, houses were also damaged when four districts of neighbouring Phitsanulok province were hit by local storms. Storms pummelled Bang Rakam, Phrom Phiram, Noen Maprang and city districts at about 9.30pm. The storms left behind damaged houses and downed trees and power poles throughout the districts. 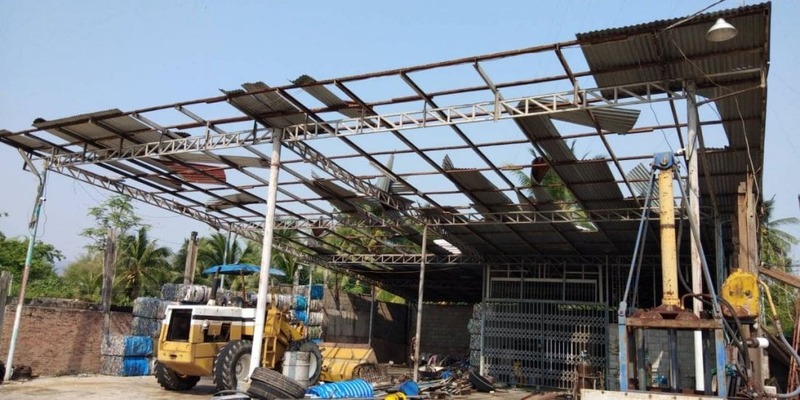 Around the city centre of Phitsanulok alone some 30 houses were damaged and four trees uprooted by the strong winds, which also blew away tents selling food for the Songkran festival on the Nan River bank. Officials are yet to assess the damage in other areas.